Fresh Peas are one of the great treats of the Summer. When I was a kid, they never made it as far as risotto, my Mum, my sister and I would sit on the patio swing slitting the pods open with one fingers, picking out the precious sweet peas, and devouring them. Now, as an adult, I have enough self control to save some peas for risotto … nope. That’s a lie. I just buy more peas. I pretty much have no patience. And that’s as true for peas as it is for life. I finish the last page of a magazine and am immediately bored, hate waiting for my nails to dry, when I finish the internet and there are no more cats to delight me etc etc. But when it comes to risotto, which I know some people have zero time for, I am fine. I love a bit of slight stirring, especially if I can put on a podcast. Glass of wine in hand. Happy as a clam. 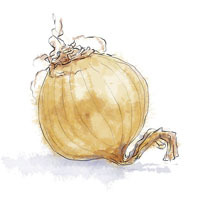 Dice the onion finely and fry in 1tbsp of olive oil and ½ tbsp of butter on a low heat until it has softened. Season well. While the onion is cooking, blend half the peas with a glug of olive oil in a processor. Add the stock one ladle-ful at a time, stirring constantly. Keep the heat fairly gentle, you want the stock to seep into the rice, rather than boil away into thin air. This entry was posted in Uncategorized and tagged patience, peas, risotto, stirring, stock, summer, vermouth, wine. Bookmark the permalink.